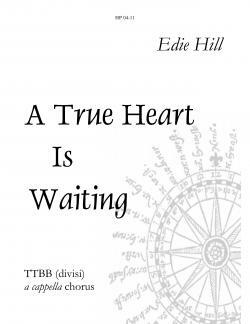 Commissioned for Cantus and the Miami University of Ohio Men’s Glee Club, "A True Heart Is Waiting" is about the weight of leaving and coming home, but also savoring the path along the way. I began work on it in 2005, during the early part of the Iraq War, and I was struck by the juxtaposition of the intense sadness of a soldier and his family parting, perhaps forever, with the intense joy of being reunited after a dangerous journey. The piece follows a sea journey and builds to the final voyage home, where “a true heart is waiting” for the weary traveler.